*You received a personal recommendation/referral from a friend or your family dentist. *You are greeted and seen on time. 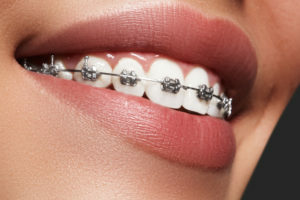 We know your time is valuable, we care about our patients and we want you to like our office..
*You see the same caring orthodontist each month who gives thorough and easy to understand explanations, offers a plan for treatment that makes sense, knows what was done last at your last visit and what you need next. *You see an orthodontist who believes in team treatment. *You see a licensed orthodontic specialist. Just as there are specialists in medicine (such as cardiologists, gastroenterologists, dermatologists, etc. ), there are specialists in dentistry. Only about 6 % of US dentists have the additional education required to be licensed and recognized as an orthodontic specialist. A licensed orthodontic specialist is a dental specialist who dedicates his/her life to correcting misaligned teeth and jaws. Orthodontists graduate as dentists from dental school and then attend a university based orthodontic residency for a minimum of 2 additional years beyond a general dentist’s training. Orthodontic insurance benefits are only paid once per lifetime so choose the best, a licensed orthodontic specialist. Choosing a dentist who is not an orthodontic specialist can be a costly mistake. *You receive personal attention from our orthodontist. We don’t deliver your care in assembly line fashion. We take enormous pride in the relationships we build with our patients and families. *We don’t take short cuts when planning your treatment. Some orthodontists give you their treatment recommendation without taking the diagnostic tests (x-rays/radiographs, photo images and impressions of the teeth) that are necessary to plan/diagnose treatment. There is no substitute for having all the information that these diagnostic tests can provide and meeting the proper standard of care in our area. This is one area where taking shortcuts (skipping diagnostic tests) can lead to improper diagnosis and treatment. *We accept many insurance plans. *You are offered several good payment plans including no down payment, no interest or low interest payment options that make your treatment more affordable. You don’t even have to write a check because your payment can automatically be debited from your bank account using electronic funds transfer if you desire. *You receive personalized appointment reminder telephone calls and E-mail if your desire. *Your treatment is “state of the art”. We combine today’s most advanced techniques with artistic flair. Computer digital imaging, staff training, cavity fighting adhesives, modern sterilizers with outside monitoring of sterilization effectiveness, latex free elastics, space age low force/high comfort wires, clear braces and virtually invisible, clear , ClearCorrect or Invisalign and Invisalign teen aligners that can straighten adult and mature teen smiles without or in combination with traditional braces. This cabin is cozy and entertaining because of the cable TV, DVD/VHS movies, Playstation, computer, board games, the stereo and music CDs and the foosball table that can be converted into a pool table, air hockey and game table. Because watching a movie and doing the home activities can take up your day quickly, don’t forget to get out of the house and have fun at Snow Summit, The Village and at the Lake. There are TVs in every bedroom and the living room. The kids brought their Xbox console and guitar hero games and accessories, plug that to the TV in the bedroom without the Playstation, then they started to play their guitars. They were also able to play Xbox LIVE because this place has wireless Internet. The kitchen is fully equipped with toaster, microwave, coffee maker, dishes, baking pans, utensils, and all. We bought groceries at Vons and the community market, and prepared a nice home-cooked meal for breakfast and dinner, then enjoyed lunch at The Village. We enjoyed eating at this cabin! Our favorite home breakfast were oven-toasted bagels and cream cheese. Our favorite lunch was to bbq chicken outside in the back deck. Our favorite quicky dinner was supreme pizzas from Vons baked in the oven! The snow outside the house was fun! When snow was falling one time at midnight, we went out in the front and my teenagers played in the snow and sledded down the street with their toboggans. That was the best night ever seeing them have so much fun in the snow. Having this house on a hill is great. Our kids wore their ski bibs, boots, winter jackets, gloves, and beanies and sled down the hill in the back. They had a blast! If you are looking for downright fun without the electronics, don’t turn on the TV, the computer, the Internet, the stereo, and the Playstation. Take out the playing cards, Scrabble and Monopoly games, magnetic darts and play some good old non-electronic games like foosball and chess. Do some crosswords and Sudoki and read a book. Get out of the house in the street and play catch with a football. Bring your skateboard and skateboard while sitting down on the board with a peer down the hilly street. Bring your bikes and bike around. I wanted my kids to enjoy the good ole fun at Big Bear without the electronics and it worked. Convenience is nearby. My kids walked down to the nearby community market to buy their snacks. It was like a 7-eleven with a Big Bear mountain feeling. I walked down to the nearby Donut Shop to buy donuts for breakfast. We invited our son’s friends to come with us. They all brought their laptops and they were able to access the Internet from their laptops. I thought that was awesome. The cabin had breakfast tables to put their laptops in. The thunder and lightning in September was one interesting experience we never had before. This place was really cozy. I teach online and had to have the Internet. We stayed at a Big Bear cabin once with no Internet, no game table, no stereo, and virtually no activities in the house but to watch TV and videos. That cabin was a beautiful home, relaxing but it was scary not to have Internet for my line of work. This Sierra home was not boring and we did not have to go to the Internet Cafe to access the Internet. This home has a computer with Internet access and wireless Internet for our laptops. The back deck is huge and it is a nice place to eat lunch in the summer and relax. Summer was hot but this home was cool. It even had air conditioning. In the summer and fall, the skies were always clear at Big Bear. It was a very unbelievable relaxing and mountain feeling away from the smog and hazy skies.